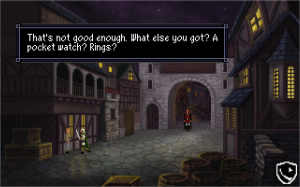 Hey friends and fans; I just wanted to write a quick blog entry to talk about some of the things we’re working on now! 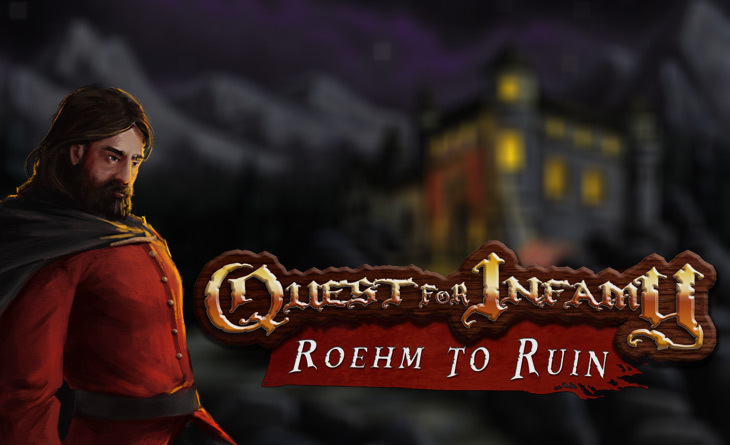 It’s been an exciting time for Infamous Quests – we recently released our second game, The Order of the Thorne: The King’s Challenge and are currently working on several more games! 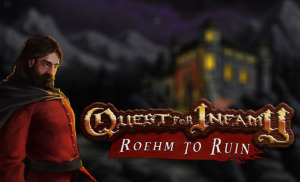 In the game development queue we have QFI: Roehm to Ruin – the heretofore untold back story of Mr. Roehm’s escape from Baron Brandlevrot and his journey to Volksville. We’re having a lot of fun with this; the game had a fun cast of characters, and you can expect to see the same brand of snark and fun that you expect from Mr. Roehm and company. 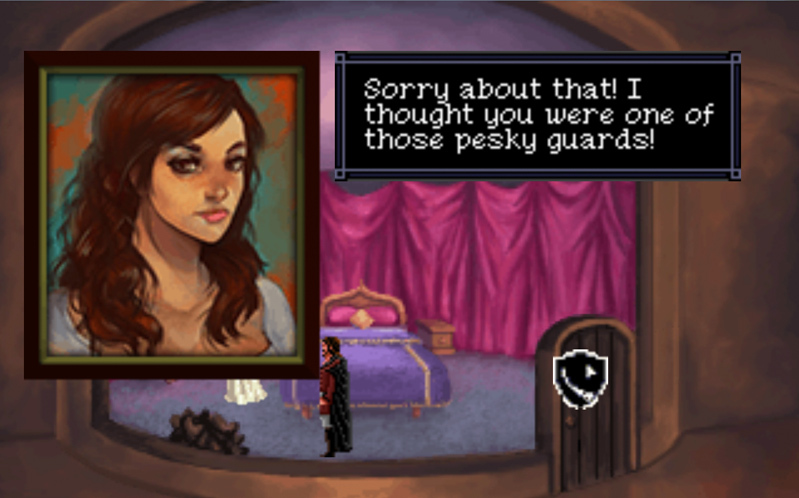 This is definitely a shorter game than QFI, but let’s be honest – most are going to be. 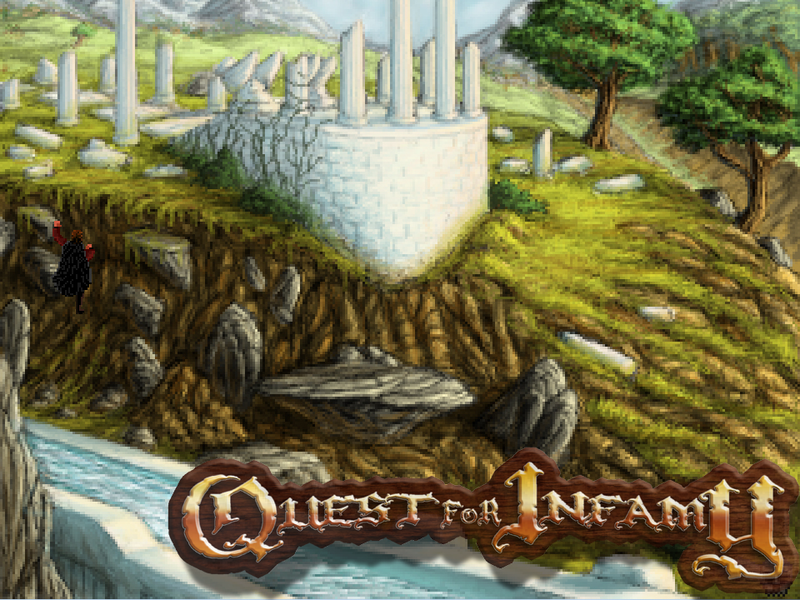 We’ve been doing a lot of fond reminiscing back on Quest for Infamy – its roots stretching all the way back to 2003, but we first began production on the demo four years ago this month. 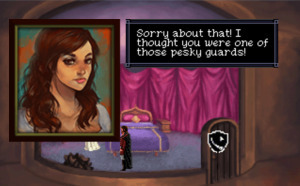 We would use that demo in out first Kickstarter later that year – I’m so proud of the team that made that happen; 2012 was a special year full of promise, and we all believed in the future of adventure games and Kickstarter. Four years later, it didn’t turn out to be quite the revival we’d all hoped; we’ve released two games now, but sadly, some games funded from back then have failed to materialize. I can tell you from experience – game production is hard. It really is! 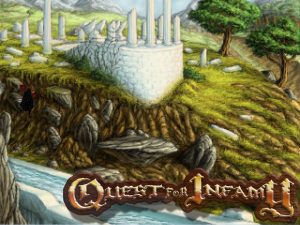 The only reason Quest for Infamy was finished was because of the dedication of the team that worked on it! We made this game through sheer will – people worked for reduced rates and/or for free to ensure that the game would get done. 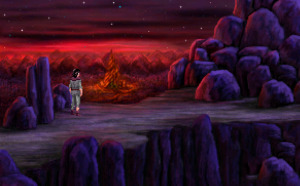 We wanted to make the ultimate tribute to the point and click adventures that we loved, and I think we succeeded there. 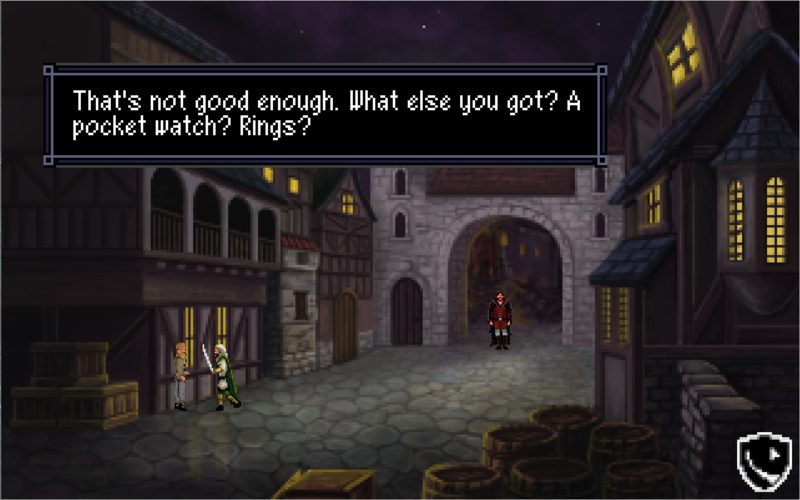 We went far over budget with the game, and ultimately – it did not recoup its total budget. But the game is still finding fans all this time later – almost two years after release. So I understand why so many games fell behind or sadly, fell to the wayside. I definitely miss the enthusiasm that everyone had in 2012. We’re all a little harder, a little jaded – the fans and the devs. But there’s still people making great games out there. It’s an important lesson, for me at least, to remember that things don’t always turn out the way you plan, but things can still turn out all right. I’ve made some great friends in the ensuing years – from fellow devs, artists, programmers et al to the amazing fans who have given their time and effort to supporting us. I’m thankful to that. We’ve lost touch with some people, which is definitely sad, but that’s how life works sometimes. So, as Shawn and I were discussing Quest for Infamy, we began working on version 2.0 of the game – fixing some nagging bugs and other problems – and we remembered how much fun it was. We’re continuing on with this 2.0 upgrade, and beyond – we’ve got some things going on with QFI that we’ll talk more about in the future, and I can say the excitement is back, at least on some level. This is carrying over into Roehm to Ruin, which we’re looking at wrapping up here in the next few months. Voices will be recorded soon, and we’re excited to continue on with the story. I’m glad there are fans out there who are interested in it! 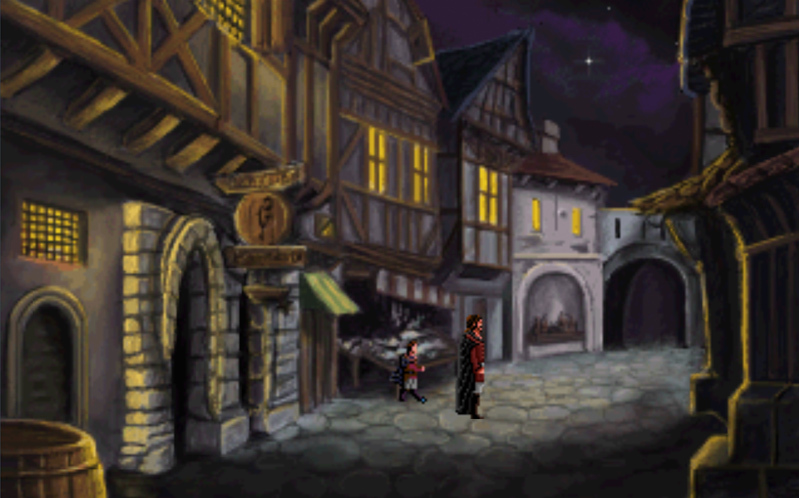 And now, we come to The Order of the Thorne: Fortress of Fire. 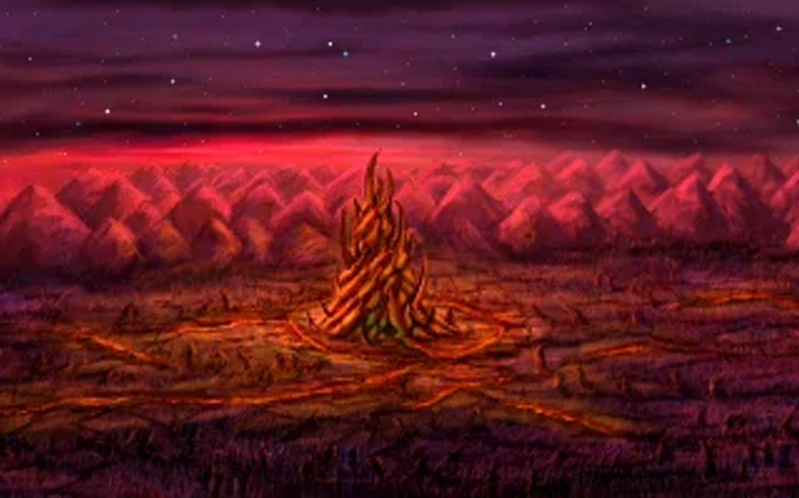 The next chapter of this game promises to continue on the tales of the Land of Uir – there’s a lot happening in that world, and I think that after dipping your toe into the world in The King’s Challenge, Fortress of Fire will send you further down the proverbial rabbit hole! 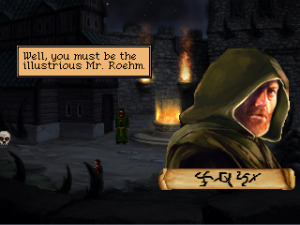 In Fortress of Fire, you do not play as Finn from The King’s Challenge, but the hero of this game is Patrick – squire to the Knight Sir Caradoc of the Order of the Thorne. Patrick must learn the ways of the Order and become the hero he believes he was meant to be. 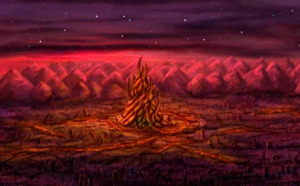 With an interesting land to explore, and a colorful cast of characters, Fortress of Fire is going to be an exciting adventure that you can play with your friends and family! It’s been a pretty amazing four years for Infamous Quests, and we’re still chugging along. I hope that passion for adventure games never wanes fully, and that we’ll be part of the many great developers that keep making games in our beloved genre. We’ve been fortunate to stand with so many other amazing designers, artists, musicians and developers – and I want to thank them for being our friends, as well as thanking all the Kickstarter Backers and Fans who support us. Thanks for all the memories, and let’s make more! 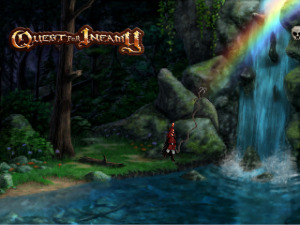 This entry was posted in Order of the Thorne, Quest for Infamy by Steven Alexander. Bookmark the permalink. Picked up QFI couple of days back. Love the game. 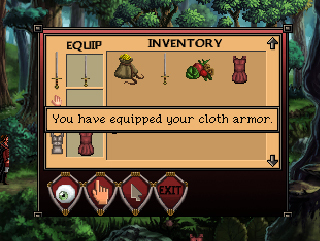 Voice overs are a bit iffy, but overall, the game is reminiscent of Quest for Glory titles, which is always good.